Pleasant Hollow Farms, one the most deisrable areas in N Fulton. An intimate, upscale neighborhood w/10 estates. 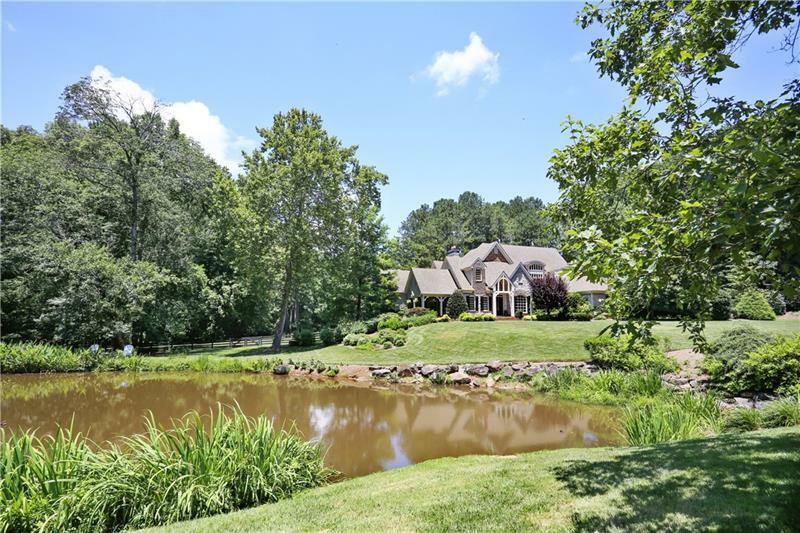 Beautifully landscaped French Country home on 5+ acres w/private .5 acre stocked pond & enjoy yr round flora & amazing wildlife! Home incls an English bar w/lrg wine cellar, Sauna, exercise room, walkout Basement to swimming pool w/Jacuzzi, 3 car garage, 5 FP's, vaulted ceilings. Add'l features:creek w/waterfalls runs along the property, a fire pit & 25k Daffodils bloom in Spring. More storage than a person can use! Priced at recent appraisal price! A representative from Metro Brokers has received your request to visit 940 Pleasant Hollow Trail on at .